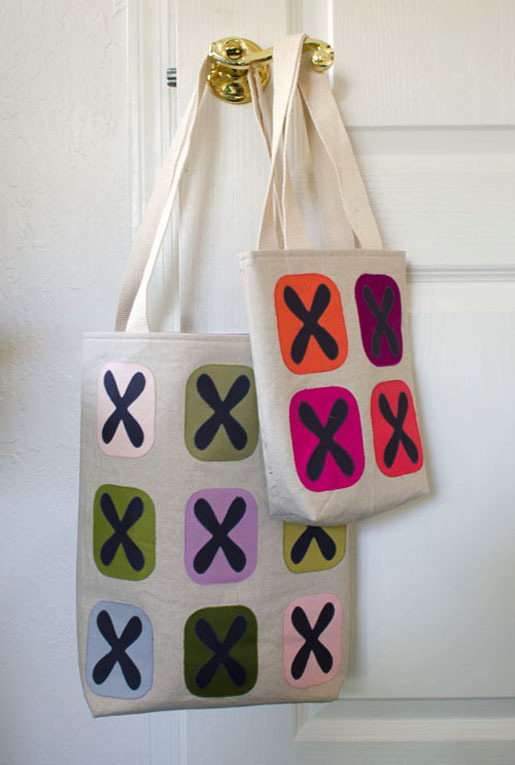 Make this modern tote with solid fabrics from Michael Miller Cotton Couture appliquéd on Essex linen blend fabric from Robert Kaufman from our WeAllSew guest blogger, Felicia Brenoe. 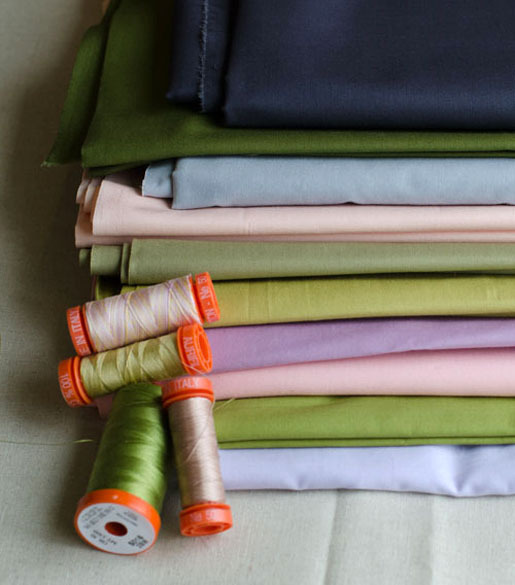 This is a great opportunity to hone your fused raw-edge appliqué skills! 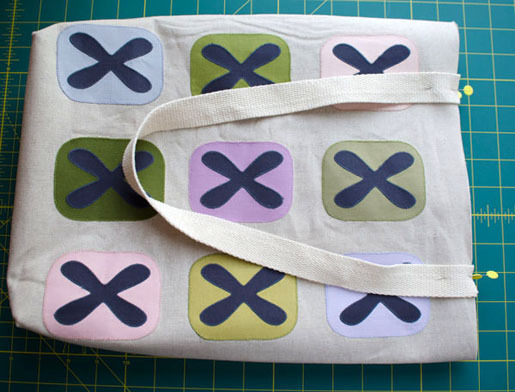 Once I started to make this tote, it occurred to me that it would also be adorable as a little-girl-tote for my 3-year old. As a result, I have also included measurements for a very small tote that is perfect for the little kid in your life (or make it for yourself. It holds a bottle of wine or your high heels when you are going to a party). If you don’t have a cutting machine, trace your pattern templates onto the paperbacked fusible before you fuse it to the fabric. 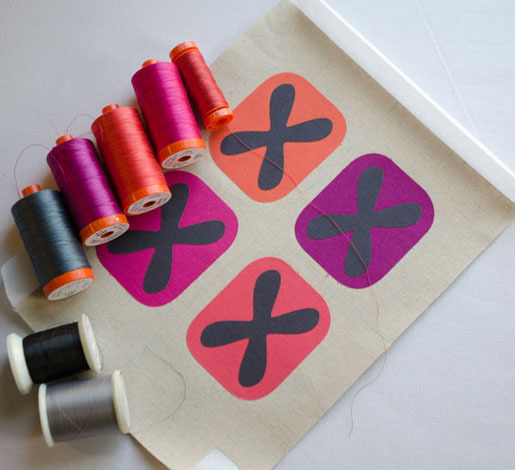 Then cut out your shapes with a pair of sharp scissors along the traced line. Since all the shapes in this project are symmetrical, you don’t have to worry about tracing your shapes in mirror image. Michael Miller Cotton Couture colors used for large tote: Fog, Creamsicle, Blush, Moss, Army, Loden, Olive, Mauve, Opal, and Charcoal. Aurifil Mako Cotton Quilting Threads used for appliqués on large tote: 2215, 2770, 2524, 2375, 5016, and 1158. 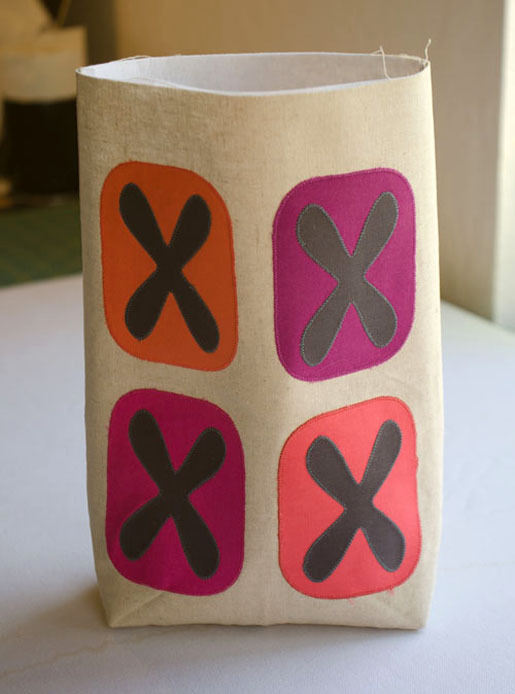 Michael Miller Cotton Couture Colors used for small tote: Charcoal, Lipstick, Jewel, Coral, and Magenta. Aurifil Mako Cotton Quilting Threads used for appliqués on small tote: 2230, 5002, 4020, 2535, and 1158. 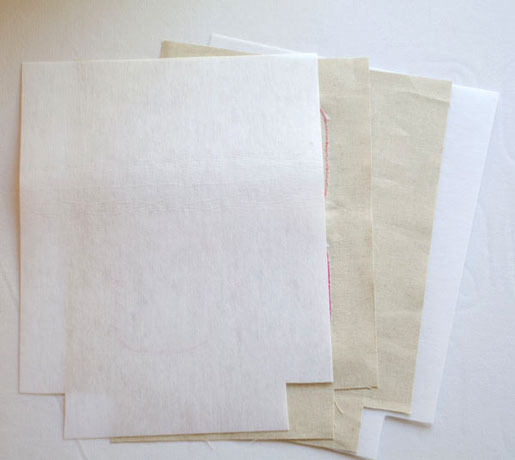 1) From your fusible web, cut 1 piece 12″x 9″ and 9 pieces 4 ½” x 4″. 2) Fuse the 12″ x 9″ piece of fusible web to the wrong side of your charcoal gray fabric and trim the fabric so it follows the exact outline of your 12″ x 9″ fusible web square. Put aside. 4) Attach the fusible backed pieces to the cutting mat for your cutting machine in accordance with the manufacturer’s instructions. Open the SVG files in your cutting machine’s software and cut the shapes in accordance with your cutting machine’s instructions. 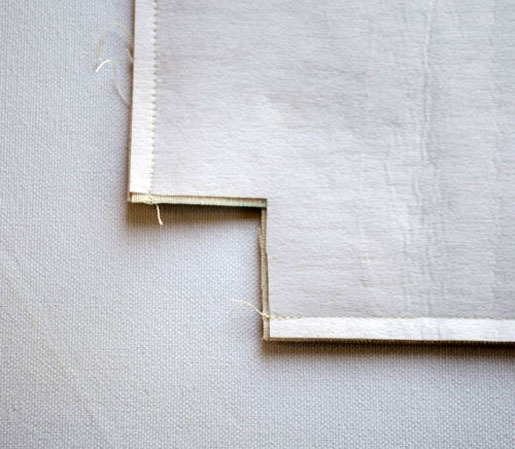 6) From your lining also, cut two rectangles 12 ½” x 16″ with the bottom squares cut out. Put aside. 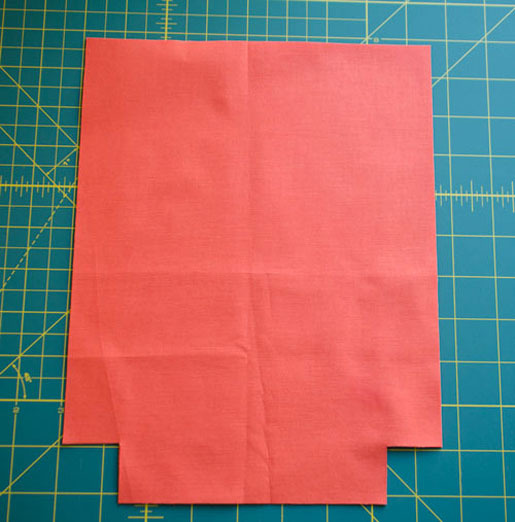 7) From your interfacing, cut another two pieces 12 ½” x 16″ with the bottom squares cut out. Put aside. 8) Fuse your appliqué pieces to the background fabric. You can fuse all the pieces before sewing. It may be easier to get a nice grid placement if you make some marking lines with an erasable pen on your fabric to guide your placement. 9) Cut a piece of iron-on tear away stabilizer about 12″ x 13″ and iron it to the back of your panel to appliqué. Using a stabilizer under your raw-edge appliqué makes the stitches lay nicely and prevents the fabric from puckering up under your stitches. 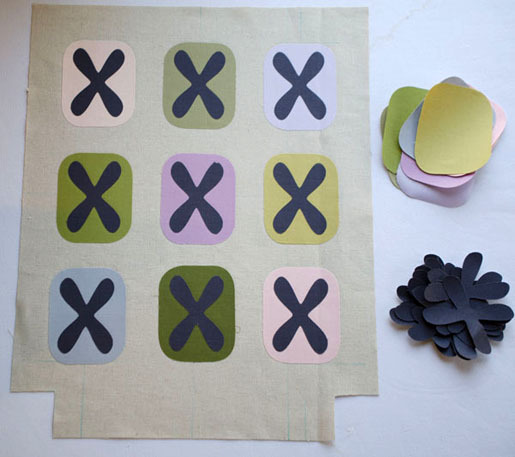 10) Machine appliqué all your pieces. I use a small blanket stitch 1.4 mm wide and 1.4 mm long. If you are new to raw edge appliqué, you may wish to make your stitch just a bit bigger so that if grabs your fabric even if you sew a bit off the edge of your appliqué. (Stitch #1329 on my BERNINA 880 is my favorite appliqué stitch, and I prefer to sew with the Open Embroidery Foot #20). 11) Tear away all the stabilizer once your appliqué is complete. 12) Layer your two bag panels right sides together. Sandwich them between the two matching pieces of interfacing that you cut in step 7. 13) Using a straight stitch and a ¼” seam allowance, sew through all 4 layers down the sides and along the bottom of your sandwich. Don’t sew into the cut-out squares in the bottom corner. Press your seams open. 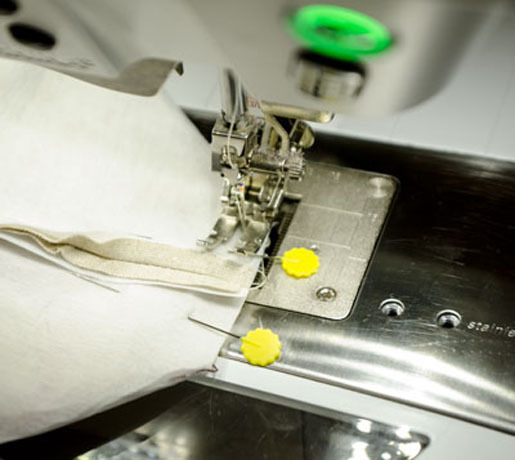 14) On the bottom of your bag, spread apart the opening left by the two cut-out squares and finger-press the bag panels so that the side-seam and bottom-seam align. Secure with a couple of pins. Then straight stitch across the opening with a ¼” seam allowance. Repeat on both corners. This creates a nice flat bottom on your tote. Turn your bag right side out. 15) From your webbing, cut two pieces 25″ long (Cut webbing 18″ long for the small tote). 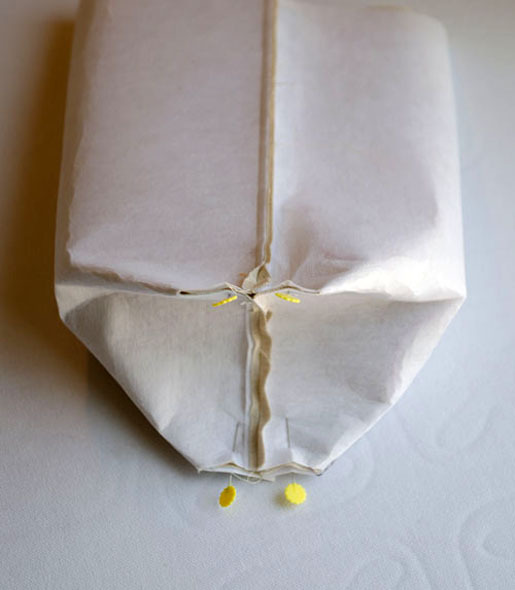 Line up the raw edge of the webbing with the raw edge of the top of your bag and pin the two ends in place. Repeat for the back of the bag. 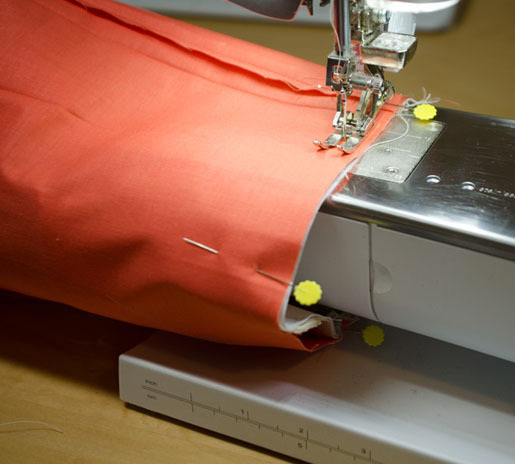 Sew the two handles in place with a ¼” seam allowance. Reverse stitch across once or twice to add strength to the seam. 16) For your lining that you cut and put aside in step 6, sew the two lining pieces together following steps 13 and 14 so that your lining forms a bag. 17) Keep your lining with the seam allowances out. Place the tote from step 14 inside of the lining. 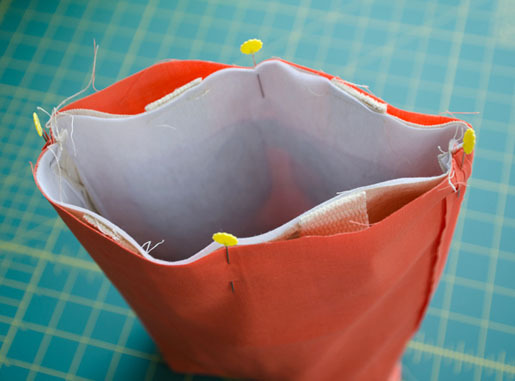 Make sure to tuck the handles down between into the space between the lining and the tote. (The outside of your tote is now facing the “right” side of your lining). Match up the side seams on the tote and the lining and secure with a few pins. 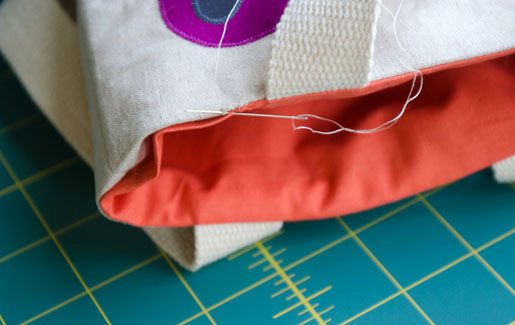 18) Sew the tote and the lining together along the top of the tote, but leave about 4 – 5″ open. Use about a ⅜” seam allowance. 19) Turn your tote out through the opening you left in step 18. 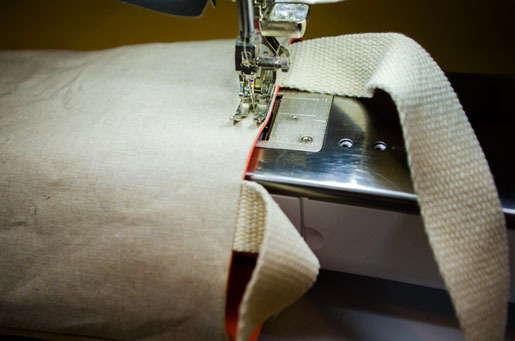 Tuck the lining into the tote and press the top seam so it looks sharp and crisp. 20) Sew closed the opening between the tote and the lining with small hidden stitches. 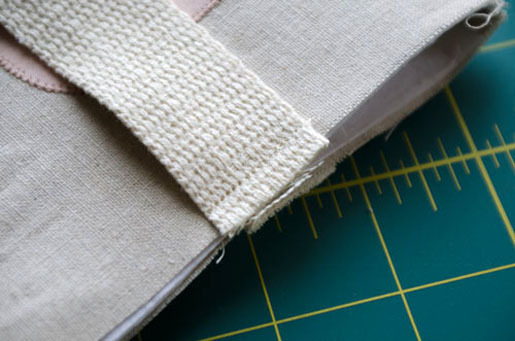 21) Top-stitch the tote along the top edge with ¼” seam allowance. Press your bag and carry it proudly!